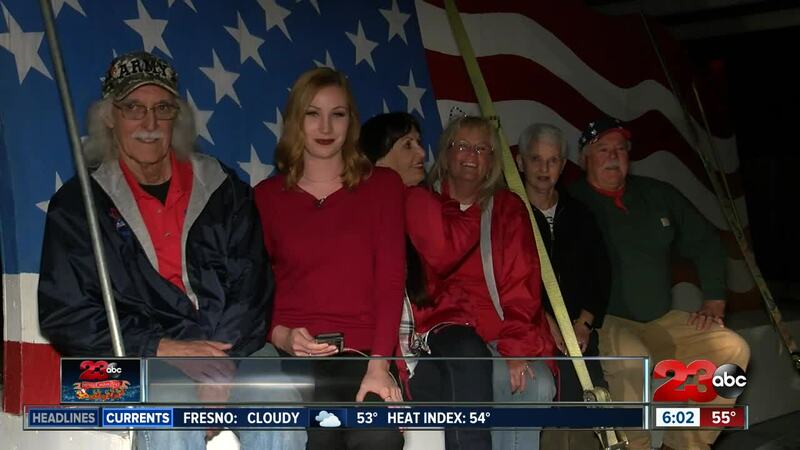 BAKERSFIELD, Calif. — The 36th Annual Bakersfield Christmas Parade is just around the corner! Here's what you need to know if you are headed out to the parade or watching at home. 23ABC's Tim Calahan and Jessica Harrington will be hosting 23ABC's Parade Special alongside Allison Gargaro, Danielle Kernkamp, and many others. The parade starts at 22nd and L Streets. It then heads down 21st Street to G Street making a u-turn on 20th Street before ending at 20th and N Streets. Click here for a map. Stands are open as first come first serve. The Bakersfield Police Department, Bakersfield Condors, and the Kern County Fire Department are just some of the many departments set to stroll down the streets of Bakersfield. Visitors will also have the chance to see veterans with the Bakersfield Honor Flight chapter. Some of the performers include Stockdale High School marching band and the Bakersfield College drumline. Assemblyman Rudy Salas and Councilman Andrae Gonzales will be walking in the parade. TV: Live on 23ABC from 6 p.m. to 8 p.m. There is free public parking at the parking garage at 18th and Eye Streets. You can also park on the streets between Truxtun Avenue and 19th Street. Bakersfield Police will be enforcing "NO PARKING" between F - Q Streets and 19th - 23rd Streets starting at 4:00 p.m. to 9:00 p.m. The area of 21st Street- 22nd between H Street - Eye Street will be designated as "NO PARKING" between 10:00 a.m. to 9:00 p.m. Vehicles still inside the parade route area by 5:00 p.m. WILL BE TOWED. Those cars inside the parade closures will not be able to leave until the parade is finished.